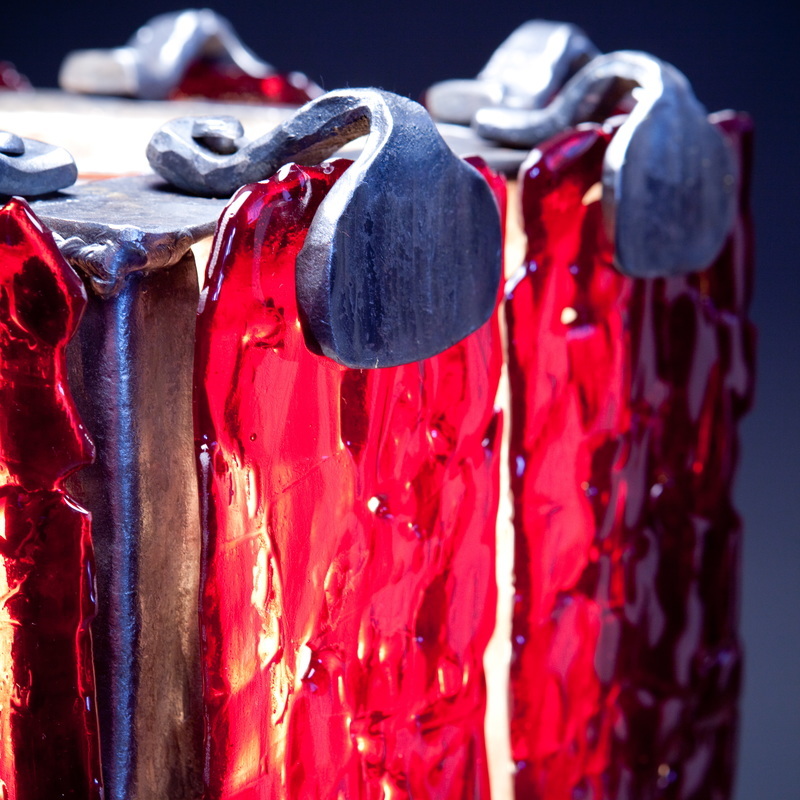 I turn steel and glass into sculpture, lighting, and architectural elements. Inspired by organic shapes found in nature, I reshape rigid steel into flowing forms. I weld, forge, and use other metalworking techniques to coax movement from the metal. I savor juxtaposition: I make full use of asymmetrical yet balanced design, prominent use of negative space, and embrace the plasticity of steel and glass when heated. My organically-inspired pieces are well-suited for both indoor and outdoor settings. My work is unapologetically angst-free. Provocation is not my metier. I design thoughtful, refined, and refreshing works. I'm particularly influenced by the graceful lines of plants and water birds, as well as the Art Nouveau style.